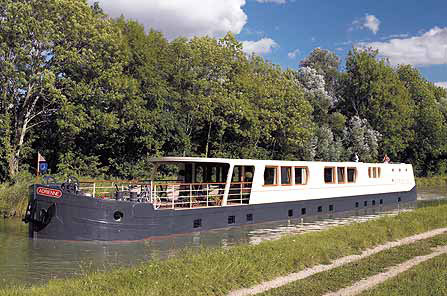 French Country Waterways is known and trusted for operating the finest fleet of luxury hotel barges cruising on France’s inland waterways. 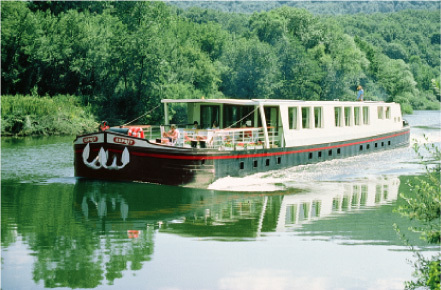 Our deluxe barges, Adrienne, Esprit, Horizon II, Nenuphar, and Princess have been carefully designed and outfitted to provide unparalleled passenger comfort. Extensive annual refurbishments and meticulous maintenance ensure that each of our vessels meets the highest standards of quality and safety. 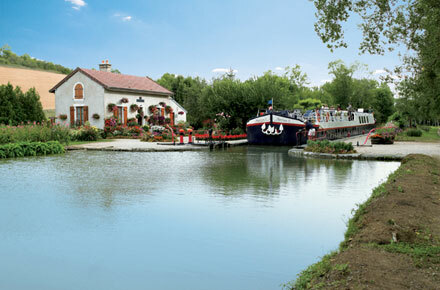 Aboard our barges you will find the gracious ambiance of a fine country inn. Warm wood panelling, handsome provincial furnishings and plush carpets combine in an atmosphere of informal elegance. 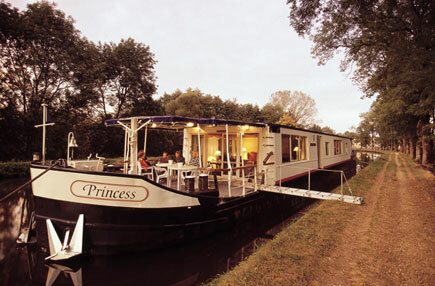 And you will be served by a friendly, bi-lingual staff who specializes in making your cruise the holiday of a lifetime. Each vessel is fully air-conditioned, with individual controls in every stateroom. You will be accommodated in charming quarters with private baths, full-sized beds, and generous storage for clothing and luggage. Comfortable twin or double staterooms are designed to provide ample space for two guests to share in comfort. Thoughtful touches like fresh flowers, extra pillows, and hair dryers are always included. Lounges are attractively furnished with comfortable sofas and chairs, soft lighting, and libraries of books, games, and music. Complimentary bars are stocked with a wide selection of favorite spirits and liqueurs. Spacious sundecks provide built-in canopies or large umbrellas to give shelter from the sun. For guests who enjoy exploring on their own, each vessel carries her own bicycles. 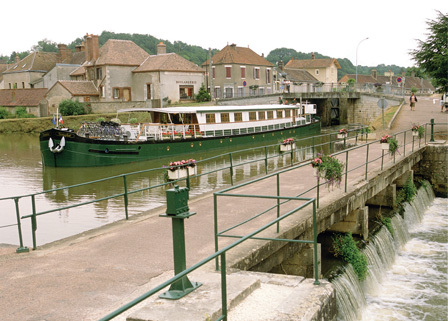 A deluxe, air-conditioned motorcoach accompanies each barge, providing passengers complete comfort for daily sightseeing and escorted transfers.